TASS – Moscow sees no obstacles for making Iran a full-fledged member of the Shanghai Cooperation Organization (SCO), Russian Prime Minister Dmitry Medvedev told reporters. While responding to a question by a TASS correspondent about the prospects for the accession of Iran and Afghanistan to the SCO, Medvedev said that “Iran and Afghanistan have made such applications.” He pointed out that both countries had been SCO observers for rather a long time. “What can be said here? 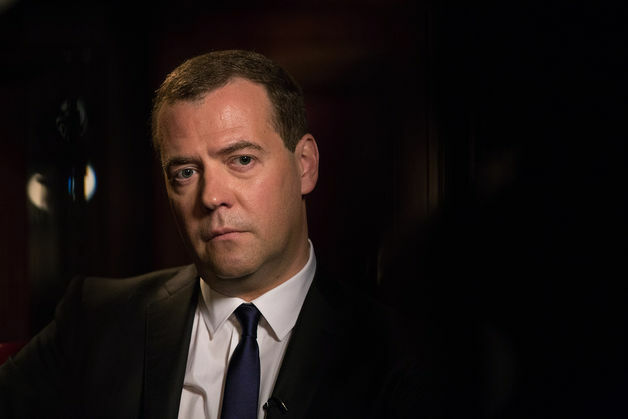 If we take Iran’s application, Russian has already voiced its position: we don’t see any obstacles for Iran’s accession to the organization,” Medvedev added. When speaking about Afghanistan’s application, the Russian prime minister said: “We understand that Afghanistan’s situation is rather difficult, as the country has been influenced by complex political processes, while the fight against terrorism still continues.” Medvedev added that Russia had been providing Afghanistan with “the necessary assistance.” “While making a decision on Afghanistan’s accession to the SCO, its domestic situation needs to be taken into consideration,” he said. “These decisions [on the accession of Iran and Afghanistan] will be made, but the member states will need to reach a consensus, and it will also require some improvement in the political situation,” the Russian prime minister concluded. The Declaration on the Establishment of the Shanghai Cooperation Organization was singed in China’s Shanghai in June 2001 by six founding states – Russia, China, Kazakhstan, Kyrgyzstan, Tajikistan and Uzbekistan. In 2017, India and Pakistan became full-fledged SCO members. Afghanistan, Iran, Belarus and Mongolia currently have observer status, while Sri Lanka, Turkey, Azerbaijan, Armenia, Cambodia and Nepal are the SCO’s dialogue partners.